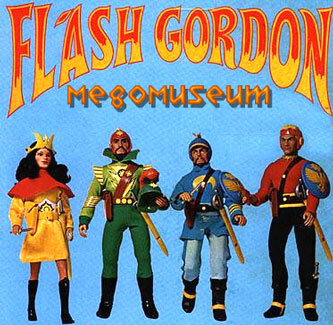 The Mego Flash Gordon line was supposed to be the begining of the era of 10" figures. Sadly the other planned release in this format (Logans Run) were cancelled and Flash Gordon became the sole 10" releases in North America. Mego Doctor Who utilized the 10" format but only in Europe and Australia. 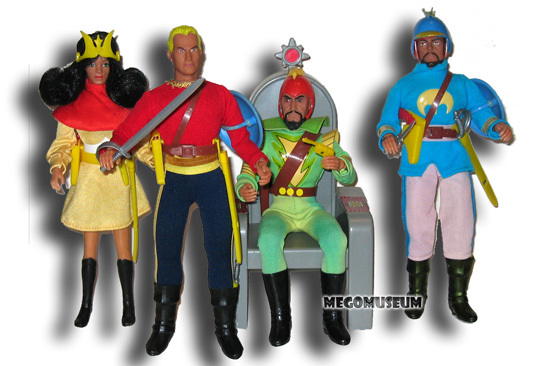 But make no mistake, Flash Gordon is one of the finest sets of figures in Mego history. .The figures come with a great deal of extras and are hard to find loose complete, luckily carded figures are still reasonably priced when found. Many thanks to Rob Chatlin for his photos and attention to detail. A Museum Exclusive! 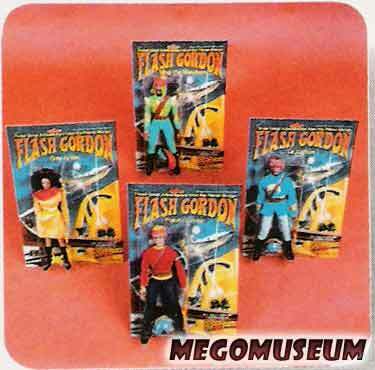 The never before seen Flash Gordon prototypes, note how they have completely different card artwork to the finished product. Not really sure why that is. In 1978, Mego decided to play upon their many Science Fiction licenses with this trade ad, as a certain space movie was taking the world by storm. This rather cool picture of the figures in their playset was sent by Patsy. 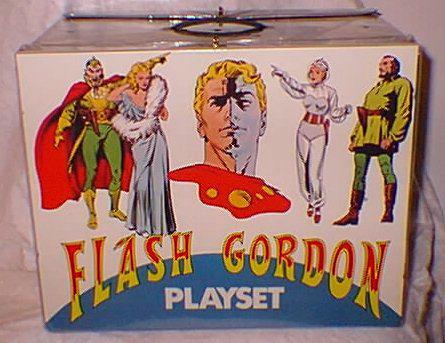 This photo of the Flash Gordon playset courtesy Rotten Ron of Rotten Ron's Toys.